For me, discovery is “the other part” of enthusiast motoring and touring. I love to discover scenic rural byways with big sweepers, and hidden mountain roads with gnarly twisties. 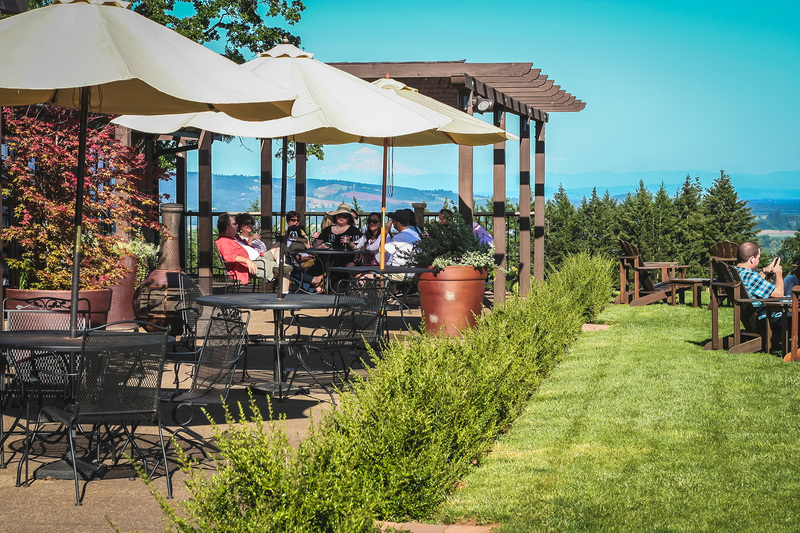 The Willamette Valley wine country adds an extra element of discovery – great wineries. What could be more fun than combining the discovery of awesome roads with tasting the delectable vintages of this beautiful region? Combine that with great weather and good friends and you’ve got a recipe for an epic day. Like last year, we started at Raptor Ridge near Scholls on the flanks of Chehalem Mountain. Jonathon, one of Raptor’s wine experts, had prepared a tasting flight in their state-of-the-art production cellar, and educated two groups about soils, weather, varietals, barrels, etc. Upstairs we enjoyed the open-air tasting room and it’s view out over the vineyard to Mount Hood. I informed the crowd that this was an “anti-tour”, that they could follow the map, or not, and stay as long at each stop as they wanted, or skip ‘em and join up later. After sampling Raptor’s delicate vintages, folks jumped in their cars and headed out in small groups to enjoy an hour of twisties and sweepers across Chehalem Mountain and through the valley to the little town of Carlton for lunch. After “refueling” [and hitting Honest Chocolates] we ascended the Red Hills for a 3-d driving experience into Dundee. 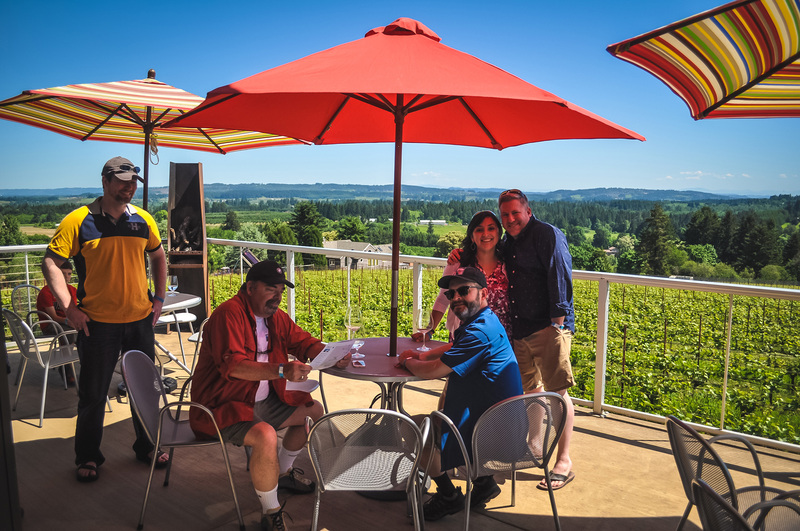 We stopped at Domaine Roy’s impressive new pnw-modern facility, sampled their impeccable selections, and enjoyed a really huge view of the valley. Eager drivers then ran the fresh asphalt of Archery Summit Road to Durant / Red Ridge Farm. Moving on to McMinnville as the sun set on a glorious day, we enjoyed dinner at Gem (creole food) and La Rambla (Spanish tapas). Some folks retired to local lodgings, while others enjoyed ice cream along Historic 3rd street before heading back through the wine country to home. Enjoying the cool evening air blowing in through my open sunroof, I imagined myself discovering more great roads and wineries for next year’s tour.